Historic watch! And you're right, any irony aside (not my style): he was unquestionably The one and only President of the USSR. How many people do you know whose career grew from First Secretary to First President of a joint? 1st PotUSSR, and last one. 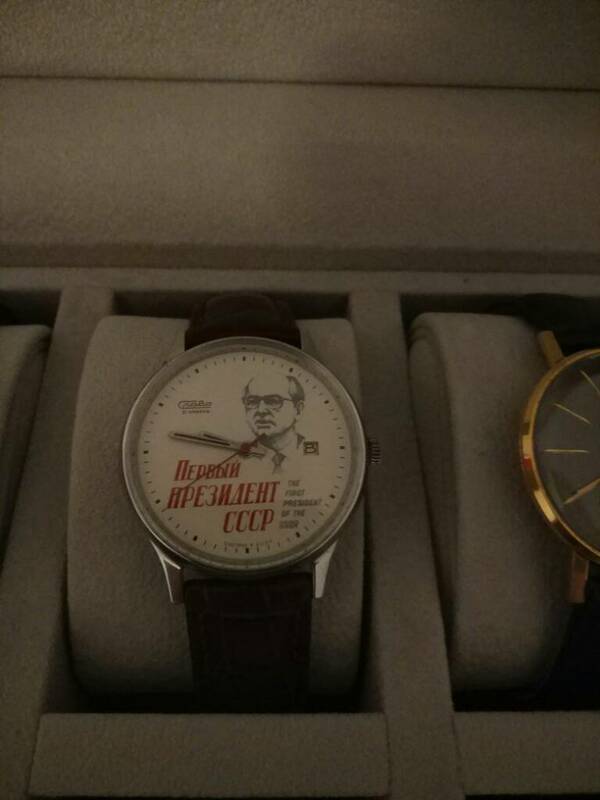 It was my first vintage Russian watch purchase. yeah and of course this watch was from a very short moment in history. First and only president of the ussr. It has a special place in my heart. And gorby is by far my favorite politician of all time. Keeps great time and has a very satisfying wind!